Blocks E & H – English 12 – Thank you so much for such a great year. I have thoroughly enjoyed my first experience teaching English 12. Remember that we do have an exam tutorial on the 21st at 1pm if you would like to do a little more review. Block F – Literature 12 – You wrote your open book Victorian and Modern Era test today. Don’t forget that we have 3 tutorials before the exam. Thanks for such an awesome year. I loved teaching this class to such great students. Block G – English 11 – We finished the year in poetic style today. We read Gather Ye Rosebuds, Blue Girls, Life is a Highway, The River, and The Climb. Your exam is Monday, don’t forget to review! Blocks E & H – English 12 – We finished watching The Kite Runner today. I was not disappointed in the film although I do think they could have included a few more details (the movie wasn’t overly long) – I was especially curious to see some of Hassan’s life in Kabul after Amir left – rather than just hear about it from Rahim Kahn. Block G – English 11 – We finished watching Dead Poets Society today. Arguably one of the best movie endings EVER! Block F – Literature 12 – We worked on exam review sheets today. Don’t forget about your Victorian and Modern Era test next class. This will be an open notebook test. It is starting to feel like the end of the year is drawing near! We only have one week left and that means only 2 classes each – WOW! Block F – Literature 12 – We finished the last of our required readings today and then worked on your exam review sheets. The review sheets are due next Thursday. Your final test on the Victorian and Modern Eras will be on Thursday, June 16th. It will be an open notebook test. Don’t forget to write down our exam tutorial dates. Blocks E & H – We went over another sample sight poem from the government exam. You should be reviewing terms every night as part of your study routine. We then began watching The Kite Runner today. Block G – English 11 – We had a bit of exam information to start the period today. You should be reviewing a bit each night in preparation for the exam. We began watching Dead Poets Society today and will be looking at a couple of poems next week. Blocks E & H – English 12 – We did a bit of housekeeping today. You had time to catch up on any missing assignments and make sure that you have everything handed in. We also made sure the Facebook assignments were handed in/printed. Don’t forget that you now need to hand in your novels. We are going to end the year by watching The Kite Runner. I know not everyone read the book but I think the film is still worth viewing. Block G – English 11 – We had a work period today. You had the opportunity to make sure you are all caught up on your assignments. Your novels are also now due so please make sure you bring them next class. We will be doing a couple of poems to end the year. Think about mountains, rivers and highways. Block F – Literature 12 – We went to the computer lab to work on your exam review sheets. These need to be complete for Tuesday. We will discuss our final three poems on Friday. I handed out a sample exam today. You should be doing a bit of review every night or whenever you get the chance. Just re-reading the literature we have read will be a great start! Block F – Literature 12 – Wow… no one for this class either…. As a side note, I am getting lots of marking done today. Thanks for that grade 12’s! Block G – English 11 – Yeah! Some students! Today we did our final Literature Circle meeting. You met with your group and discussed some final elements of your novel. You needed to hand in your notes from today’s session. You have a final writing reflection due next class. The agenda from today’s Lit Circle is on the Handouts page. Block H – English 12 – Back to marking! Blocks E & H – English 12 – Today was your final Lit Circle meeting. A copy of the agenda is available on the Handouts page. You handed in any notes you took during your group discussion and then began working on your final novel writing assignment. There will be a final activity that involves Finding Forrester. I hope you all enjoyed this movie – definitely one of my favourites. This is the last class before your big graduation weekend. I hope you enjoy every minute of this important right of passage. I still remember my graduation – yep, I can remember that far back – and it was an amazing experience and still gives me a feeling of pride. Have fun, and be safe! Block G – English 11 – We began with some silent reading and then began going over our sentence errors booklet. Today we went over “quizzes” 7, 8, & 9. We then looked at an example of the poetry section on a grade 12 government exam. This will relate to some of the poems we are going to look at over the next few classes. You need to finish your paragraph for next class. Block F – Literature 12 – Today we read Dolce et Decorum est, The Second Coming, and The Hollow Men. We only have 3 poems left to read! You received some review worksheets to finish for next class. Be sure to pre-read the poems for next day. Block F – Literature 12 – We are moving at a rapid pace through the Victorian Era. Today we read Song, Dover Beach, The Darkling Thrush, and Because I Could Not Stop for Death. You worked on the worksheet/review package that I handed out last day and your exam review sheets. Block G – English 11 – Today we began with some silent reading – and a little “Leadership” task for those who are finished their novels. We also worked on finishing the sentence structure booklet – run-ons and fragments – that you began working on last class. This booklet should be finished for next class. Block G – English 11 – We began with some silent reading and then had our third Lit. Circle. There is a copy of the agenda on the Handouts page. Today you discussed conflict and theme in relation to your novel. You were to make notes as you discussed and then hand those notes in by the end of the class. Blocks E & H – English 12 – We began a film study that we will also use for an assignment with our novels. 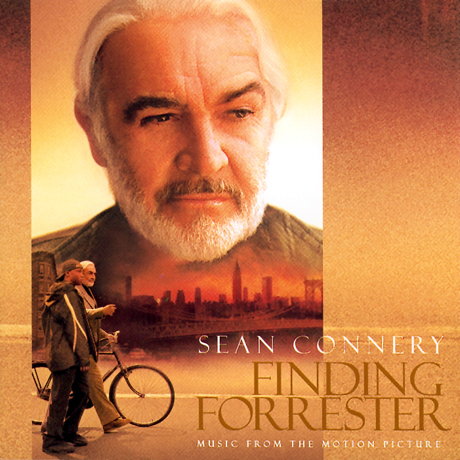 We began watching Finding Forrester a 2000 film that combines basketball, literature and Sean Connery – What could be better than that!? We will watch the second half of the film next class. This also means that our final Lit Circle has been moved to Thursday, June 2nd. Block F – Literature 12 – Today we read Ulysses, by Alfred, Lord Tennyson, Sonnet 43 (How do I love thee? ), by Elizabeth Barrett Browning, and My Last Duchess, by Robert Browning. There were e review worksheets to complete over the weekend. Next class we will read Song, by Emily Brontë, Dover Beach by Matthew Arnold, and The Darkling Thrush by Thomas Hardy. Blocks E & H – English 12 – We began with some “housekeeping” today – looking at our last 9 (now 8 :)) classes, deciding how to use this time, and for block H, handing back your practice exams. Block E also did some silent reading at the start of the period. This was your last class period to work on your Facebook assignment. The templates are available on the Handouts page of the blog for those of you who want to work on it at home. Your finished pages should be printed and handed in to me next class, or saved so that I can view them (if you did real Facebook pages). Block F – Literature 12 – We took introductory notes on the Victorian Age today. Many classic novels were written during this time. Be prepared to read Tennyson, and the Brownings for next class. We also had about a half hour to work on your next set of review sheets. You should be reviewing for the final exam – a little every day will make a big difference! Block G – English 11 – I handed back a couple of assignments and handed out a print out of your Term 4 mark at this point. You also handed in your second Lit Circle assignment today. There will be 2 or 3 more assignments before the end of the term. We also went over the “Common Errors in English” booklet today. You can expect that some of these will be on the final exam. You received another grammar package today on sentence fragments and run-ons. You should complete pages 7, 8 and 9 for homework. A copy of the package is available on the Handouts page. Blocks H & E – English 12 – Today you began with your fourth Lit Circle. A copy of the agenda is available on the Handouts page. You discussed theme and conflict in your novel and handed in the notes you made today. For the second half of the period you worked on your Facebook assignment. Next class we will evaluate the progress of the assignment and decide how and when it will be submitted. They look really great! You have exceeded my expectations. Block G – English 11 – You had your second Lit Circle meeting today. You were running the “meeting” as per the roles you assigned yourselves last class. Next class you will hand in any “prep” work you did for the Lit Circle meeting (quotations, questions, drawings, etc) and your next assignment – which is to write a 1-page response to something someone else in your group contributed. Block F – Literature 12 – You had your 18th Century/Romantics Test today! Only one more big test to go before the final exam. Your first set of exam review sheets were due today and then you signed up for 3 more. There was some time at the end of the period to get started on these. Enjoy your long weekend everyone!